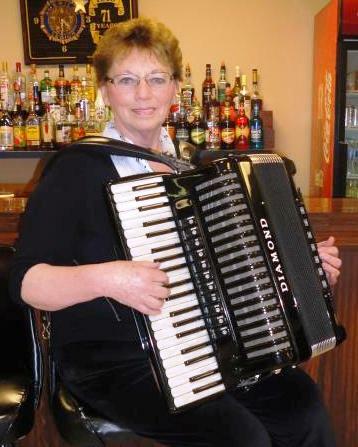 On this edition, Cathy Erickson is helped out on stage by an assortment of Accordion players to help finish off the epic five hour accordion festival held at the Eagles Club in Thief River Falls, Minnesota on a warm June night in 2013. On this edition of Good Time, Old Tyme, Longtime Grygla, Minnesota musician Vernon Rogalla has his turn on the stage at the Eagles Club in Thief River Falls, MN as part of Cathy Erickson’s Accordion Festival. Rogalla has been playing and entertaining folks in the Northwestern Part of Minnesota for well over fifty years. Here Comes Those Entertaining Auctioneers! On this edition of the program, we are proud to present Arvin Sundby of Karlstad, Minnesota and Joe Gust of Badger, Minnesota aka the Auctioneers. Arvin and Joe and the rest of the members of Auctioneers have long been a polka and old time fixture in not only Northwestern Minnesota but down in the sunny state of Arizona as well. 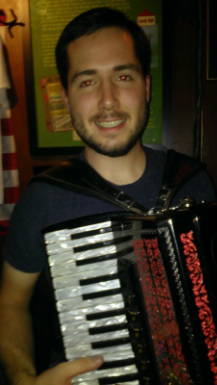 On this edition, the multi talented accordion player Jake Bastyr of Naytahwaush, Minnesota. When Jake was 10 years old, he begged his parents for an accordion. They gave him $50, eased the restrictions on E-Bay and let him have at it. That first accordion wasn’t even in playing condition, but that didn’t deter Jake and a career was born. He’s been learning, playing and repairing accordions with a passion ever since. At the age of 16, Jake started getting gigs that has stretched him even further. Stop by The Castle and see Jake for your repair needs including custom MIDI & audio outfitting, tuning diagnostics (including detailed prinout) and concertina repairs. Jake is also the radio host of Jake’s Polka Show, which airs Sunday afternoons from 12-2p on KCRQ Radio in Detroit Lakes, Minnesota. On this edition of the program, Chuck Gust of East Grand Forks, Minnesota adds his own personal musical touch to the Accordion Festival. Listen to the man many consider the uncrowned Polka King of East Grand Forks!